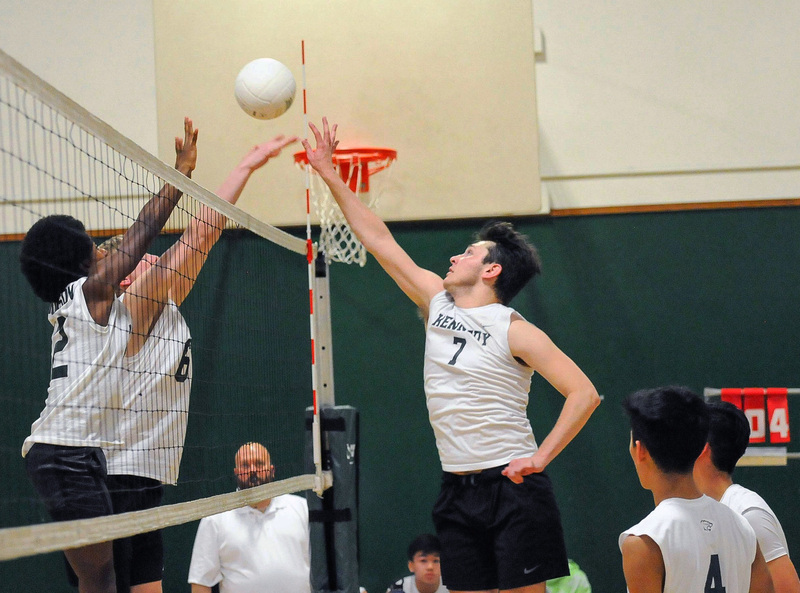 Kennedy’s varsity men’s volleyball team displayed teamwork and perseverance this season. Through hard competitors and a small roster, they placed first in the Metro League standings, scoring a record of 13-1. In comparison to the 2016 season, the team members showed significant improvements where they placed second with a league score of 11-2 under their toughest competition, Burbank. Despite the obstacles the team was able to pull through, having demonstrated it by their game against River Valley High School. According to coach, Jakira Rand, River Valley is a very talented team with a talented coach. This highly competitive game included huge blocks, tough jump serves, as well as hard-hitting attacks. The win highlighted the potential the volleyball program has and labeled the game as the most memorable one of the season. Rand told The Clarion, “The team’s success is built on everyone doing their part. Volleyball is a system and the varsity men’s volleyball team discovered that early in the season, which allowed them great success.” Everyone on the team is immensely proud of how far they have come this season. Through pride and competitive spirits, the varsity team never lost a game without fighting back. Under Coach Keng and Assistant Coach Keith, the men’s JV team also finished with a record of 13-6. With huge wins against River Valley and Christian Brothers High School, the JV team continued to make a name for the volleyball program at Kennedy.